We’re busily getting ready for our Spring Performance! We have 500 dancers performing, and they all need costumes. Can you sponsor a costume for a beautiful little dancer? Your contributions help us grow! Partner with us today to help further our mission. Our operations are made possible by small grants, contributions by our parents toward their children's classes, and by tax-deductible donations from generous individuals and corporations. Right now as you can see we're raising money for costumes, but there are many ways you can help us! Each class costs us $960/month to run. For a donation of $960, you can give 12-15 kids the gift of one month of dance! 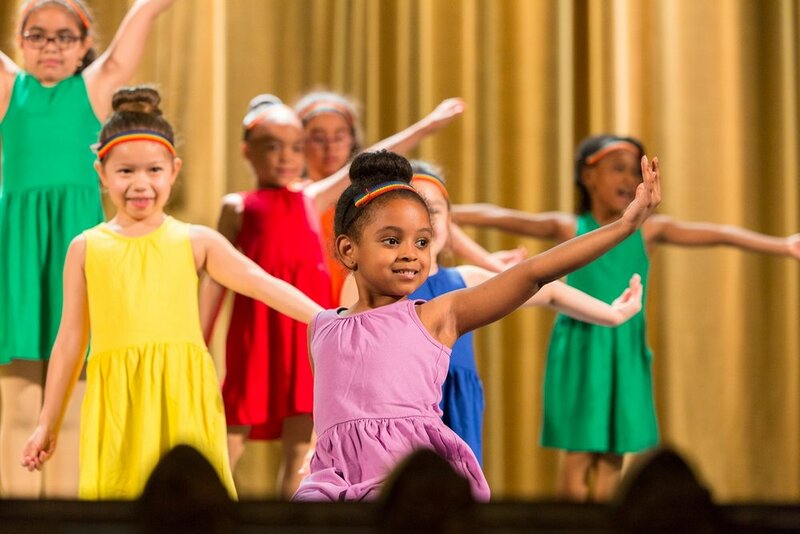 $240 pays for one class for that same group of kids, and $20 pays for one child's dance class. Consider doing a recurring monthly contribution to help contribute to our ongoing classes all year long. Do you have skills we could use as a growing non-profit? Accounting, web site design, fundraising, HR experience, costume design, lighting or sound experience, stage management - we need help with all these areas and more. Speak to us about donating your professional time as an in-kind donation. Dance Project of Washington Heights is a 501C-3 Charitable Organization and all donations are tax-deductible.